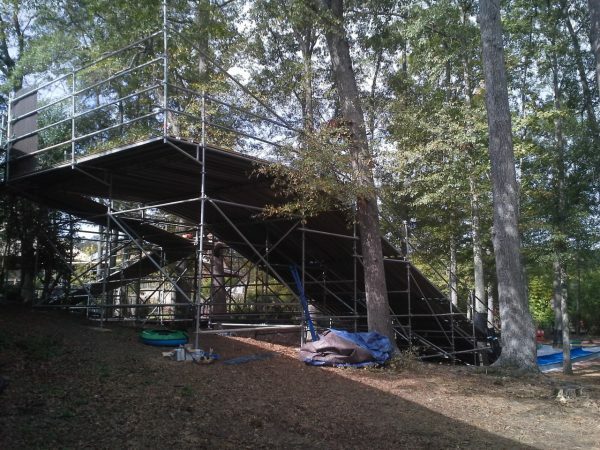 We provided the scaffold to support a FUN slide for kids at the Birmingham Zoo. One of our community projects each year has been to supply a small stage for the Breast Cancer Race for the Cure. Specially designed metal pans are used so that the plywood stage is as smooth as possible and locked into place. 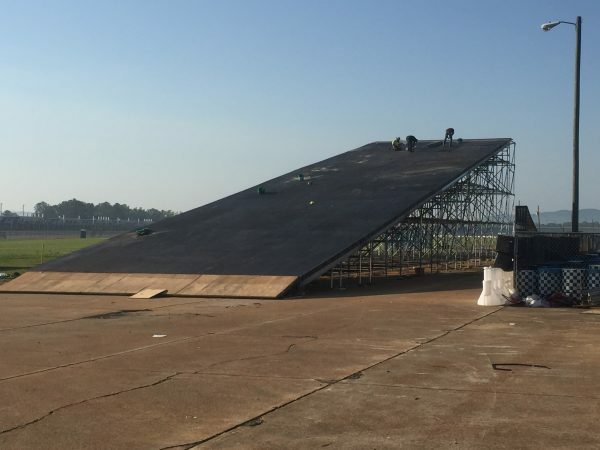 This scaffold ramp was designed for a stunt motorcyclist to complete the longest asphalt to asphalt jump at the Talladega races in April 2017.